Changing SHA-1 constants an functions: Does it affect security? I have been looking into the SHA-1 algorithm. I found that there are a set of functions and constants in the algorithm that have been standardized (section 5 of RFC 3174). If I want to use SHA-1, which I know is not advisable, does changing the constants and altering the functions have a positive effect on the security of the algorithm, assuming the attacker does not now of this alteration? Changing values of the constants and / or the logic of functions from SHA-1 would just create a different algorithm. Depending on how large the changes are you could then say that the altered algorithm is similar or belongs to the family of "SHA-1-like" algorithms. We just don't know. You could of course try to do some large-scale calculations, i.e. try to see if known attacks of SHA-1 still apply to "altered-SHA-1", or try to find collisions, look for indications if the avalanche-effect still is good enough and so on. In your case the security of your model is based on the fact that the attacker would never gain information of your used algorithm. You can't be certain that your altered-SHA-1 is even more secure than the already vulnerable SHA-1. And because you haven't released this algorithm to the public you would have no idea if it's vulnerable. In this case it's good practice to follow Kerckhoffs's principle. I wouldn't suggest heuristically changing constants. However, there is a method with rigorous foundations that considered using randomized hashing in digital signatures. This method has the advantage that one can assume less from the hash function, and thus if the hash function is not "fully" collision resistant, the signature scheme can still be secure. In the method described in Strengthening Digital Signatures via Randomized Hashing by Halevi and Krawczyk, one only needs target collision resistance, which is much weaker than full collision resistance. Of course, this only helps in the context of signatures. I did some more research about the topic and someone did some experimenting on this. He found that when changing the constants for the initial state, the security of SHA-1 is compromised. It is an interesting read and is indeed a good answer to my question. One should not alter the constants because it can affect security in a negative manner. He showed that he could choose constants such that particular files collide. If I were to randomly alter my SHA-1 function, I might create these collisions that can be exploited, though unlikely it still can happen. How are the modified constants weaker? They aren’t. Not the answer you're looking for? 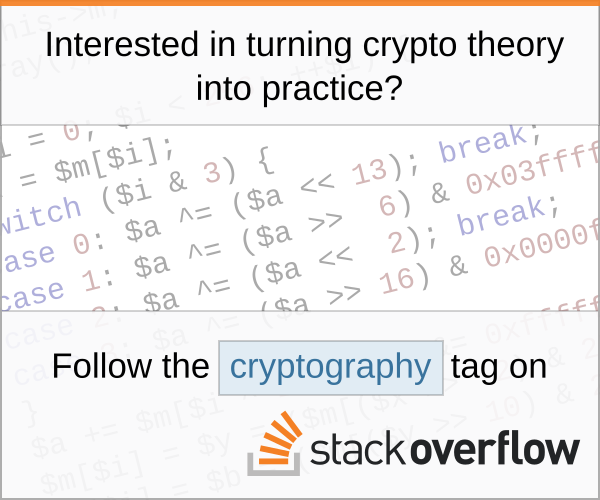 Browse other questions tagged sha-1 or ask your own question. Is Wikipedia's table about SHA-2 collisions correct? Why is HMAC-SHA1 still considered secure? Does SHA-1 meet the strict avalanche criterion? Does this proof sketch show that finding a SHA-1 preimage is NP-hard? What is the use of SCRAM-SHA-256 (over SCRAM-SHA-1)?